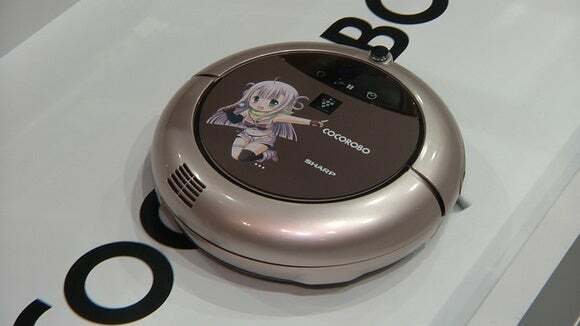 Two of Japan's biggest obsessions have collided on the Sharp booth at this year's Ceatec electronics show, where the company is displaying a robot vacuum cleaner that blasts J-Pop songs while it sweeps. 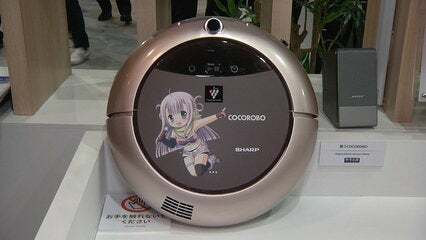 Sharp said it developed the prototype after hearing comments from users of its Cocorobo robot cleaner that they don't like to hear the sound of the unit as it goes about vacuuming the floor. So, the new version was born. It blasts out J-Pop songs sung by Vocaloid, Yamaha's popular voice synthesis software, and is also capable of communicating with its owner. The music it plays is based on requests from the owner, picked up through a microphone in the cleaner, so it can be told to play something refreshing, something to lift spirits, or something more relaxing.